Unseasonal rain and snowfall are impacting agriculture in Himachal Pradesh. Normal snowfall at the right time is beneficial to winter crops. It helps in root development, preventing soil from getting washed away and other benefits. Climate change is estranging mountain farmers from their lands, driving youth away from agriculture. There is a major need to amplify farmers' demands for monetary compensation and crop insurance. Unseasonal rain and snowfall is the main reason for agriculture failing in Himachal Pradesh. “Hailstorms or torrential rains are usually destructive to our crops while snowfall is not,” said Uma Devi of the Chamba district of Himachal Pradesh, when speaking to Mongabay-India. However, the post-monsoon heavy snowfall in Himachal Pradesh, Uttarakhand and Jammu and Kashmir, which came in two heavy spells in late September as well as early November 2018, were exceptions, and are now attributed to exacerbated climate change in the Himalayan region. Tourists were escaping the hot plains and flocking to the mountains to see snowfall. But the snowfall at this time of year was unexpected and is a calamity for the farming communities in these mountainous terrains. 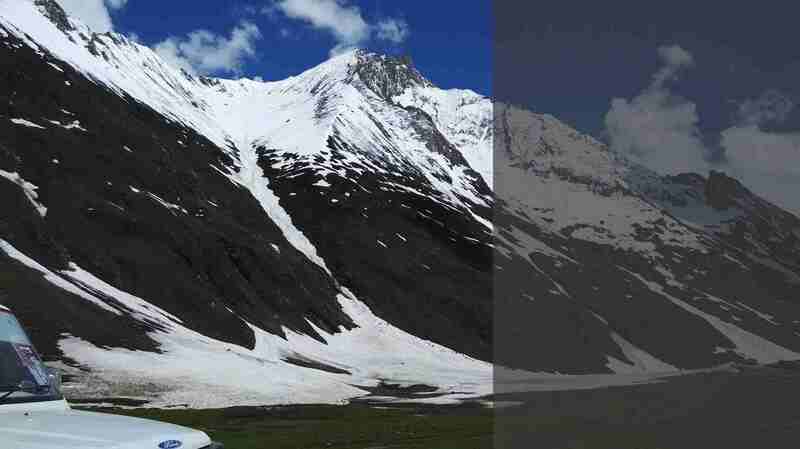 In the Lahaul district of Himachal Pradesh, located at around 3300 metres, snowfall in late September was disastrous for the summer crop of potatoes, cauliflower, cabbage as well as apples, pears, plums and cherries. Farmers of the district suffered a collective loss of more than Rs 300 million. The last time such untimely, heavy snowfall occurred was in 1955. In Jammu and Kashmir, the government has declared the early November snowfall as a natural calamity. Such heavy snowfall in these early months came as a total surprise and has not occurred in the last 20 years. 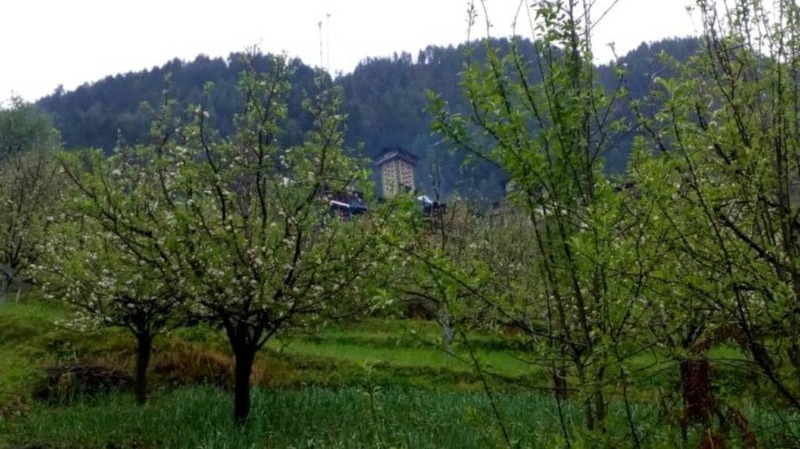 In Doda, situated above 1500 metres in the Chenab valley, stories have emerged of destroyed maize crops as well as destruction to apple, walnut and persimmon orchards that were awaiting pruning in early December. Late September was the time that pastoralists from the nomadic Gaddi tribe were to descend from the higher Dhauladhar mountains in the Kangra and Chamba district of Himachal Pradesh with their flocks of goats and sheep to begin their journey towards the Punjab region. This year, many shepherds were stuck, loss of life to cattle and horses were in the hundreds, and many awaited evacuation near the treacherous Bara Bhangal pass, at around 4000 metres, while the state responded to mainly foreign tourists stranded near Manali. Untimely, snowfall has not just blocked the Rohtang road out to markets for pahadi (mountain-based) farmers, but also changed the reputation of their otherwise highly acknowledged crop. As farmers from Lahaul marched to the the district collector’s office to demand compensation, emergency compensation was sanctioned by the State Disaster Response Fund of Jammu & Kashmir. Mohammed Afzal Parray of the CPI (M) issued a statement saying that, “The government should provided compensation keeping in view the recurring losses to the farmers. A tree takes at least a decade to mature and the snowfall has ruined the hard work of years of farmers.” Farmers in the Kashmir Valley are now rallying for better crop insurance schemes. While compensation is the need of the hour, it is important in the context of climate change to not jump to a conclusion that snowfall is always destructive to agriculture. Instead, it is necessary to evaluate the historic connection between snowfall and agriculture, and furthermore the role that a rightly timed snowfall played in agriculture. According to scientists, normal snowfall at the right time is beneficial to winter crops in more ways than one. Snowfall of one foot, depending on the density, is equivalent to one inch of rain and provides a lot of moisture. Unlike rainfall, snow allows root development. Even when the top of the crop lies dormant, if the roots are well developed, the crop receives more nutrition. Furthermore, snow prevents the soil from being washed away with heavy rainfall and it has an insulating temperature, as it takes longer for moist soil to get cold than dry soil. As snow fell here in early November, the agricultural work had majorly wrapped up, yet the snowfall came as an early surprise and has cut out connectivity in the region. 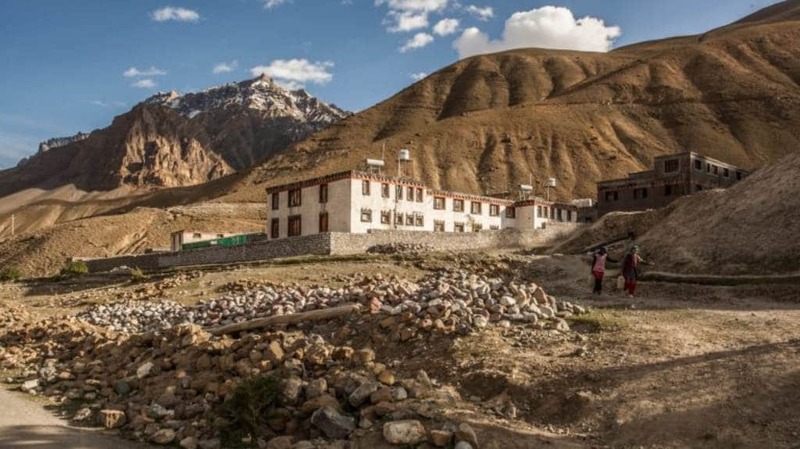 Duni said that there are two regions in Spiti (Upper and Lower) where the Lower is closer to Kaza (the city). Farmers in Spiti, particularly upper Spiti, are used to snowfall from late November onward. This year, it caught them by surprise, as it came earlier. For generations, villagers have dried vegetables and meat, depended on cheese and barley porridge to survive the winters. Other farmers, who live close to the city, depend on buying pulses and vegetables, and suffer much more with untimely climatic phenomena, as they cannot buy from anywhere and have no stock of food to rely on, he added. 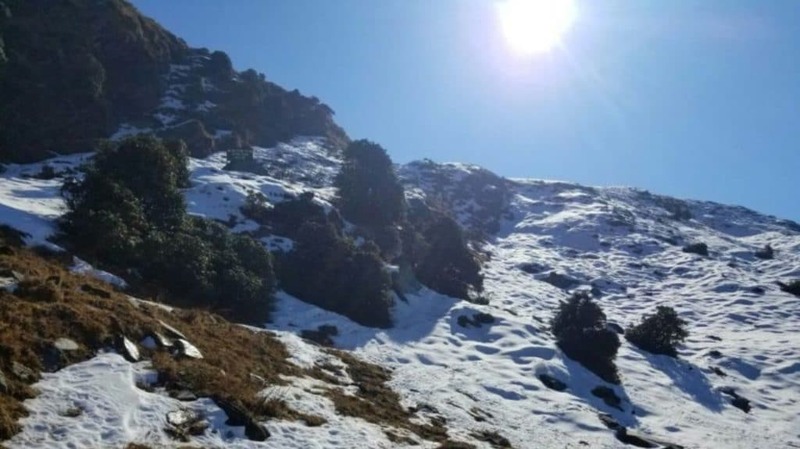 The Snow and Avalanche Study Establishment (SASE), located near Manali in Himachal Pradesh, has recorded that in the last 25 years, while rainfall has increased, snowfall has decreased. Their study, however, does not delve into untimely snowfall. Furthermore, the research shows that while in the northern Himalayan region overall, we can see a trend of global warming, the minimum temperatures have seen a sharp decrease. The change from seasonal rain and snow to flash storms and untimely snow has also meant the growth of pests in crops. The wheat crop in Himachal Pradesh currently has a huge aphid problem, aphids being a big sentinel of climate change. According to crop scientists at Palampur Krishi Vigyan Kendra, tuber crops which were always more hardy and resistant are also seeing a new pest in the form of the "tuber moth". Additionally, villagers of Rakkar, Kangra district shared that the majority of Himalayan farmers get their water for consumptive and irrigation use from glaciers. Snowfall that occurs at the right time of year, for example from late-November to February and in the right quantity, can also increase the stability of the glacier water system. Untimely snowfall in September-early November melts quickly, as the surrounding atmospheric temperatures are still relatively high and serves no real purpose. An ongoing study conducted by Wildlife Institute of India, Dehradun shows that in farmers in Pithoragarh, Uttarakhand have stopped growing close to 30 traditional crops, including millets and local vegetables, owing to climate change. At the same time, the state government through “climate-sensitive agriculture” is encouraging farmers to grow off-season vegetables such as tomatoes, green peas, cauliflower so as to supply them to the plains areas. Additionally, given the decline of apple orchards, farmers are encouraged to grow tropical fruits such as kiwis, pomegranates and pineapples. All in all, this increases farmers’ dependence on the market, which in times of climate change, means that farmers have less sovereignty, self-sufficiency and therefore are dependent on monetary economy. Climate change is estranging mountain farmers from their lands, driving youth away from agriculture seeking other employment, and therefore it is necessary to amplify farmer’s demands for monetary compensation and crop insurance. At the same time, in the long-run, given the prediction for more climatic disasters, especially in the northern Himalayas, it is equally vital to strengthen farmer sovereignty and local food systems in the region.